Hi guys. It's been a long and grueling weekend with my pup undergoing some minor surgery. He's playing the sympathy card and when I walk away to go to my nail area he starts whining to be held again. It worked every single time, haha. 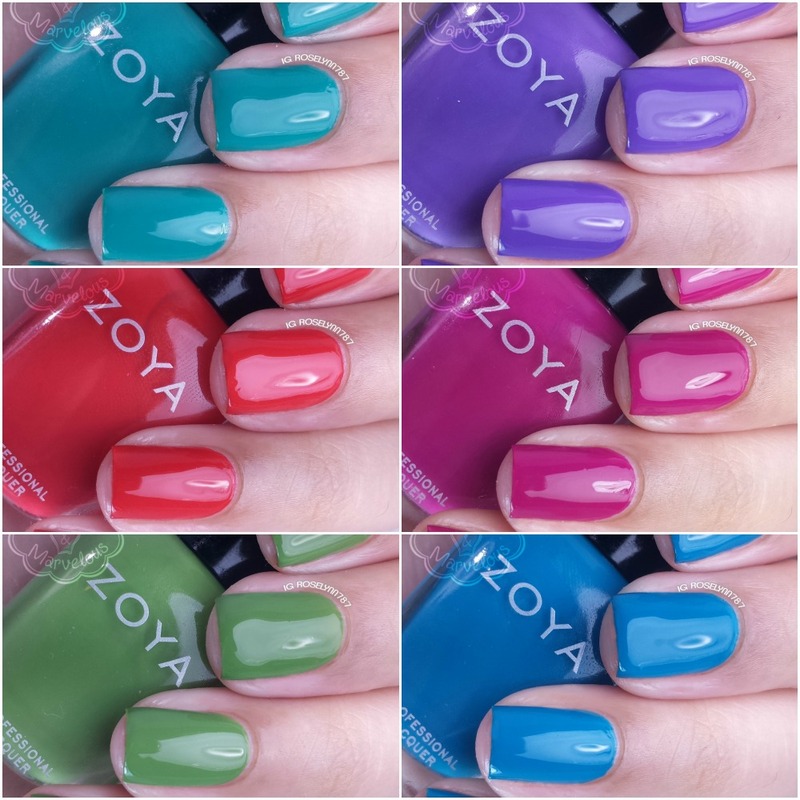 But after much delay, I finally finished up swatching the Zoya Island Fun Collection! 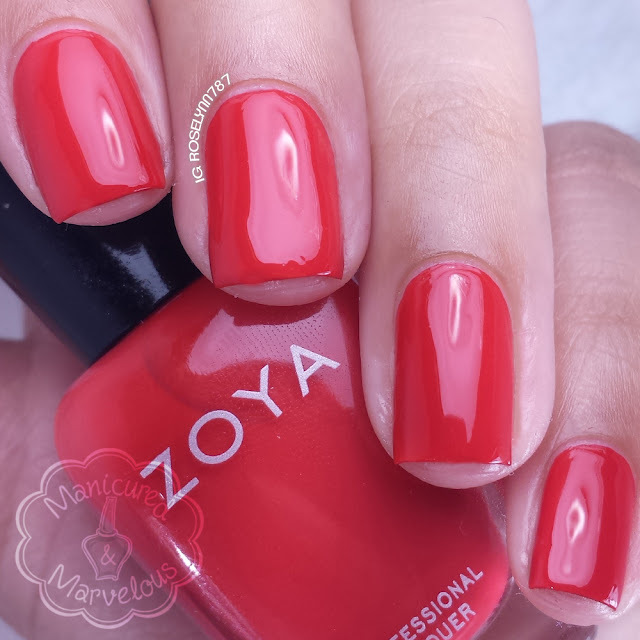 If you haven't already, you can check out my swatches for Paradise Sun by Zoya as well. 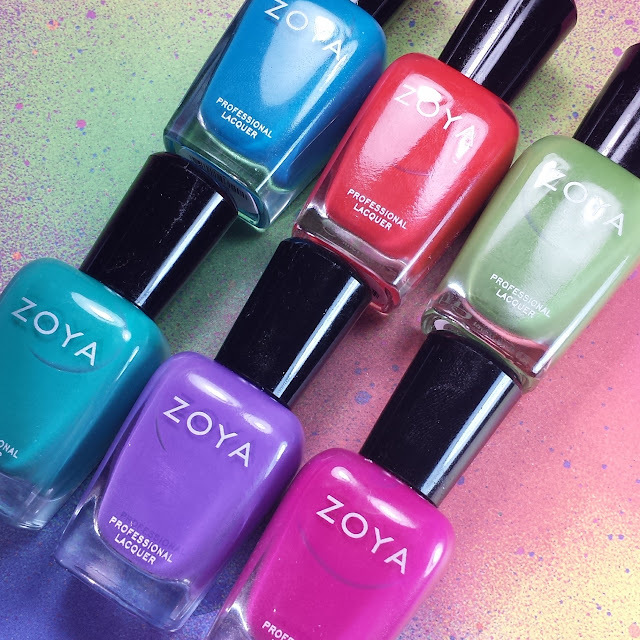 Island Fun and Paradise Sun are the Zoya Summer 2015 releases that are already available for purchase. Jace can be described as a modern tropical green in a full coverage and densely pigmented cream formula. A green that is more muted than lime and surprisingly wearable! I think every fan of Zoya has come out and said this already, but Tilda anyone? While it's a similar shade, it's definitely not a total dupe for my personal favorite green. The formula applies smoothly throughout and self-leveled well. Swatched here in two coats and sealed with Seche Vite topcoat. Cecilia can be described as a classic teal in a full coverage and densely pigmented cream formula. Color wise, this one is definitely a stunner. Unfortunately even through a base coat, I did experience very minor staining (mostly to the cuticles). Another great formula with no application issues. Swatched here in two coats and sealed with Seche Vite topcoat. Talia can be described as a true turquoise in full coverage and densely pigmented cream formula. Another drop-dead gorgeous blue from Zoya this summer! Though not a completely unique shade, I personally don't have a exact dupe for it. The formula and opacity are great, but I did find it a bit on the thin side causing cuticle flooding. The big concern with this shade, however, is the staining it causes. I did use a base coat with this, but found it didn't help prevent the staining. Swatched here in two coats and sealed with Seche Vite topcoat. Serenity can be described as a summer purple in a full coverage and densely pigmented cream formula. Reminiscent of beautiful blooming irises, a harbinger of summer! Like Isa in the Paradise Sun set, this polish does also have a skunk-like smell to it. It's not a strong smell, but it can easily be noticed once you start applying. Easy formula and consistency with only minor cuticle flooding. Swatched here in two coats and sealed with Seche Vite topcoat. Nana can be described as a deep summer fuchsia in a full coverage and densely pigmented cream formula. I really love this shade, probably my favorite in the entire collection both in shade and formula. The color also happens to be extremely flattering against my skin-tone! Same consistent formula here as well with no issues in the application. Swatched here in two coats and sealed with Seche Vite topcoat. Demetria can be described as a vibrant poppy red in a full coverage and densely pigmented cream formula. Another favorite and a must-have for the summer! Again, great formula and consistency as all the rest. Swatched here in two coats and sealed with Seche Vite topcoat. Overall I am very happy with the pigmentation and formula of these cremes! I'm bummed about the staining with the blue and teal shades, but even keeping that in mind I am a fan of this half more than I was Paradise Sun. 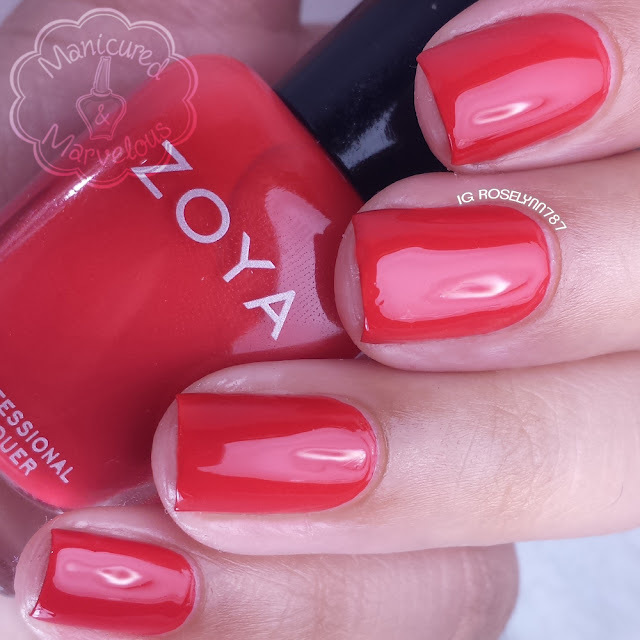 Good opaque cremes are hard to find, but not when it comes to Zoya. The consistency throughout was great with only one or two on the thin side. I definitely cannot wait to use these in nail art, especially watermarbles! I'm glad you enjoyed these ones, since you weren't a fan of the other half. I love Nana on you! Thanks. I feel like I am always more prone to love cremes more cause I use them in art a lot more often. I love these colours, and I'm so excited for my bottles to be arriving soon! I'm trying to get my "chores" done so I can work on swatching these! They are lovely on you! Thanks! I had to do the same thing so I could play with mine lol. Can't wait to see yours once you finish up. I'm really liking Jace. Completely out of my normal comfort zone. Right?! I'm not normally a fan of green but Jace is lovely, my favorite green creme from Zoya is Tilda though. These didn't jump out at me as much as the other collection did, though they are still beautiful! Talia and Nana are my favs! Your swatches are perfection. I have some major swatch envy! Aw thank you for such a lovely compliment! Love your swatches! I love these colors, but they don't look overly unique from others that I already have. I think I just have too many polishes! Haha there is no such thing as too many! This collection is killer! Cecelia really stood out from the rest. Zoya's bright cremes make me happy. I'll definitely be picking this up eventually.